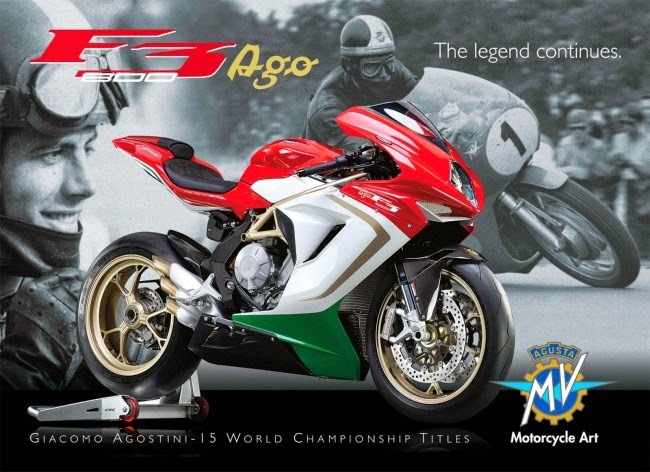 MV Agusta announced will be produce a F3 800 special edition to honor an Italian racing legend, Giacomo Agostini. Motorcycle will be given the additional name "AGO", which is scheduled to officially introduced at 2014 EICMA, in Milan, the next few months. Special edition for the legend is very inappropriate. Therefore, Agostini is the all-time record holder in the motorcycle racing Grand Prix that has collected 15 world titles, 13 of which use the MV Agusta motorcycle. Sure, Aroma Italian very thick felt on this bike. 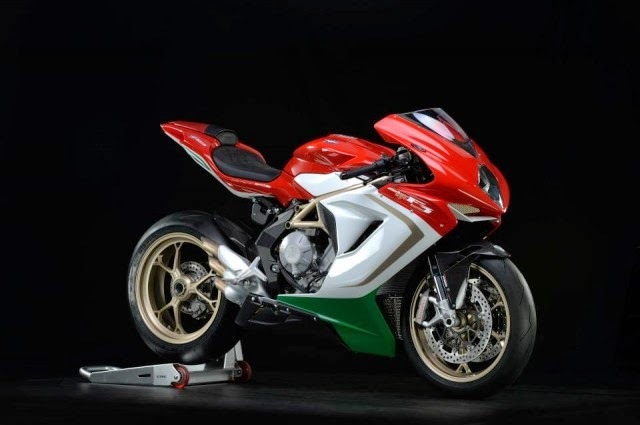 Making its appearance for this holiday is this beautiful MV Agusta F3 800 AGO with great combination of gold, red and green theme. The Y-spoke wheel is nice in that gold and matched with gold exhaust and gold Trellis frame. 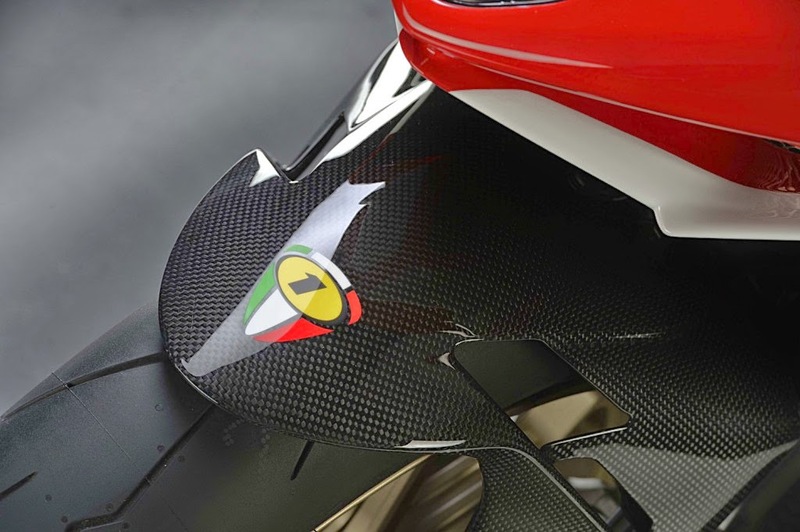 Not only the look, some components are made of lightweight materials that could cut the weight is large enough. Fender is made of carbon fiber, some components are made of aluminum, including forged aluminum rims manifold. By doing so, the empty weight of the motorcycle is only 171 kg, or 2 kg lighter than the regular F3 800. 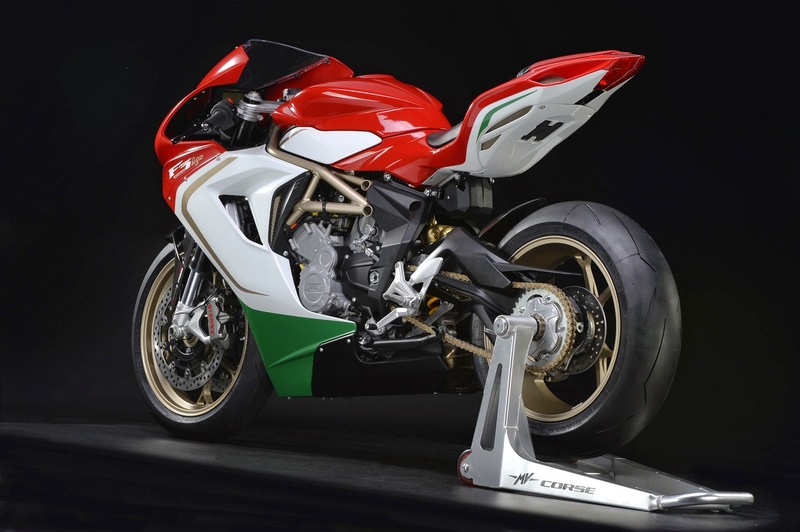 Mechanical heart identical to the standard version, using technology MV Agusta's Motor & Vehicle Integrated Control System (MVICS), an electronic device which controls the gas, traction, to suit the engine. Gearshift typical, faster and smoother, equipped with ABS as standard. 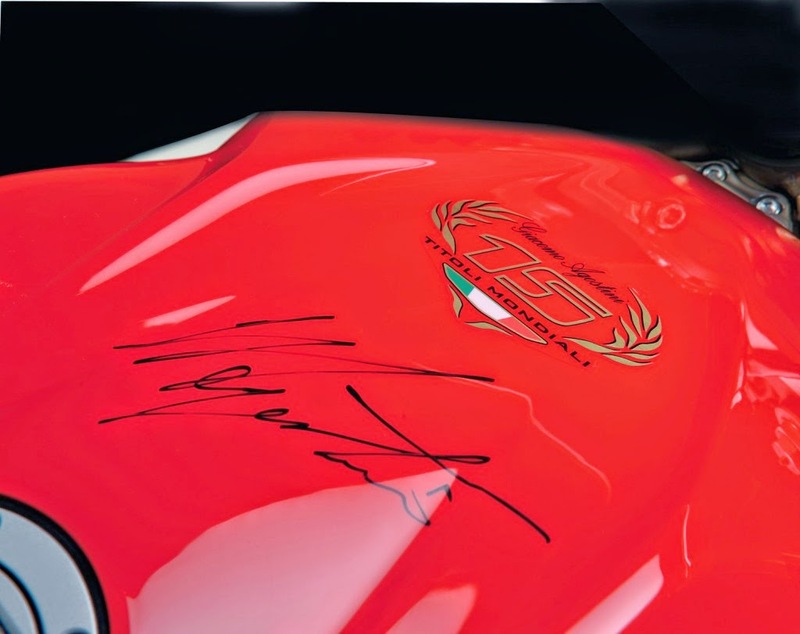 F3 800 special edition will only produce 300 units, each contained Agostini signature on the fuel tank and a small plaque on the handlebar. The original certificate will be given to the buyer as proof of legal ownership and maintain prices.